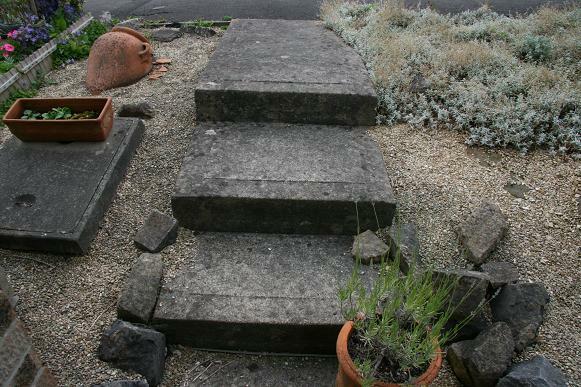 Steps can sometimes be a nightmare to navigate and the original steps to the front door in my client’s garden were a huge problem. My design provides a much more gradual descent and as they change direction, the steps allow the visitor to view the garden from different angles. 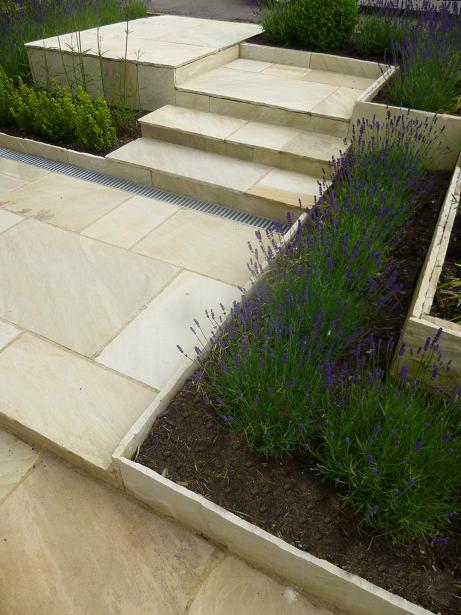 The garden was beautifully built by Tom of TAG Landscapes using Fossil Indian sandstone for the paving and steps.